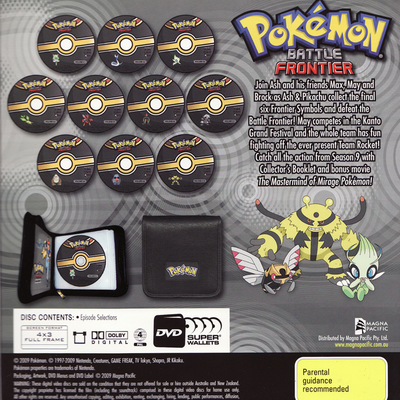 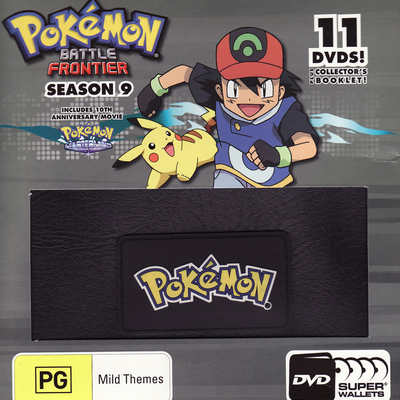 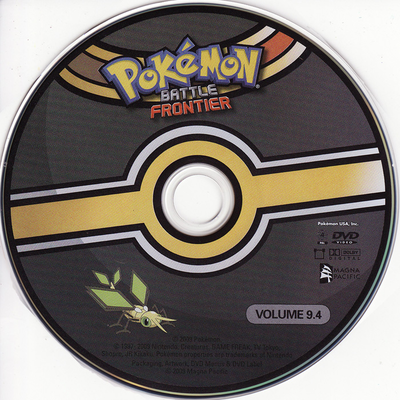 Description Join Ash and his friends Max, May & Brock as Ash & Pikachu collect the final six Frontier Symbols and defeat the Battle Frontier! May wins her final four contests and competes in the Kanto Grand Festival and the whole team has fun fighting off the ever present Team Rocket! 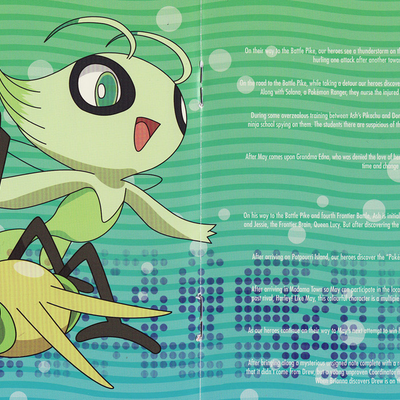 Catch all the fun in 49 episodes from Season 9 with Collector's Booklet!